This Two-Ply, Plain Embossed Bath Tissue Provides An Improved Sensory Hand Feel And Offers The Ultimate At-Home Look And Feel. Environmentally Friendly In Design Tissue Is Made From Sustainable, Rapidly Renewable Fiber (Rrf) To Produce A Whiter, Brighter, Softer And Greener Product. 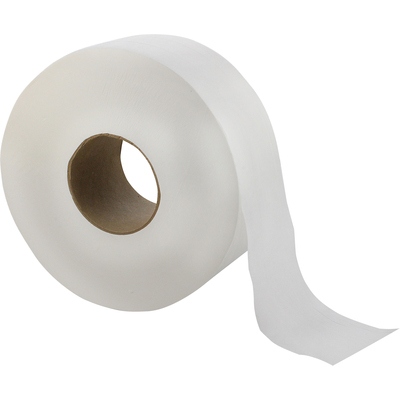 Jumbo-Size Roll Reduces Change-Outs And Labor Costs. Luxurious Softness, Thickness And Increased Absorbency Make This The Perfect Bath Tissue For Class A Office Buildings And Mid To Upscale Locations Desiring An Improved Restroom Image..